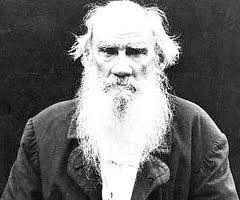 Tolstoy's reputation in Russia is not as high as it is in the rest of the world. Apparently, the Russian Orthodox Church believes that Tolstoy was in some way responsible for the victory of communism. Lenin was an admirer, apparently. And Hitler's favourite composer was Wagner. Do you see what I'm getting at here? There's an interesting article on Tolstoy's current rep in Russia in The New York Times, here. I have yet to learn whether it was Nabokov or Faulkner who, when asked what three novels an aspiring novelist should read, answered "Anna Karenina, Anna Karenina and Anna Karenina".